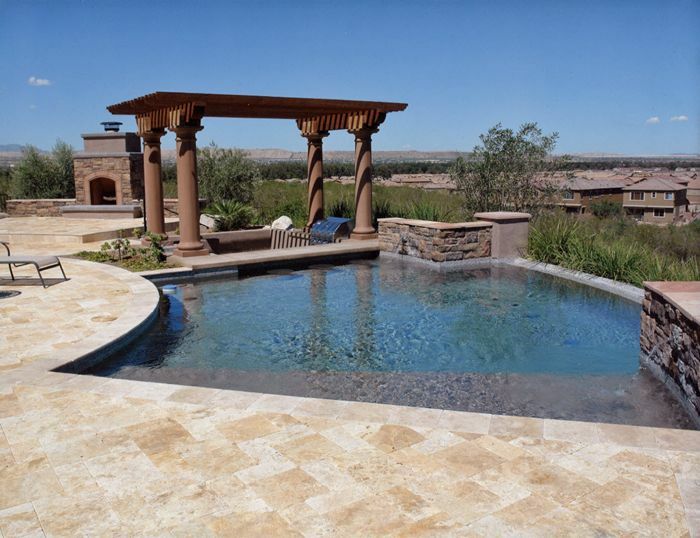 Curved pools became a trend a few years ago when designers started creating pool offsets and integrating pools in the design of the house itself. 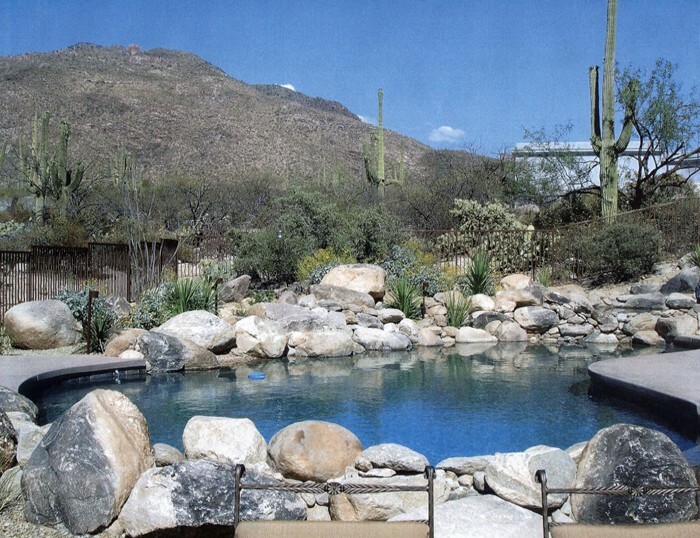 Rather than juxtaposing a rectangular or a kidney-shaped pool with a house, high-end pool builders worked with architects and homeowners to “borrow from the landscape” and integrate the pool tightly into the overall design of the property. 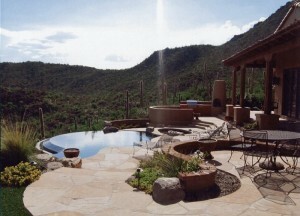 Though their shape vary greatly, curved pools have a distinctive feature: one of the edges is built into an arch. This salient feature helps the homeowners highlight their pool and make it a design object rather than just a functional prop. In a number of cases, the curved edge overhangs on the flank of a hill to create the spectacular view typical of infinity pools. The pool gallery below shows this with several examples. These are pools built by Cimarron Circle. Sometimes, the curved edge is oriented toward the house itself, as shown in this video. In this example we see how the constraints of the land were overcome. We did not have a view toward a valley since the backyard of the house faced the hillside. We also had limited space to work with. To avoid the trap of all-angular shapes, we decided together with the homeowner to build a curved vanishing edge pool and wedge the pool into the hill: the result is a distinctive architectural feature that gives a strong personality to the backyard. Integrating two water fountains in the hillside helped reinforce the impression that the pool is a natural basin fed by a spring flowing down the hill. 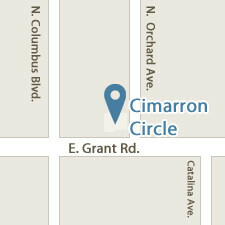 Cimarron Circle has 40 years of experience designing pools in a variety of land configurations. Whatever the constraints of your terrain, there is always a creative solution that will greatly satisfy your eyes day after day after day. 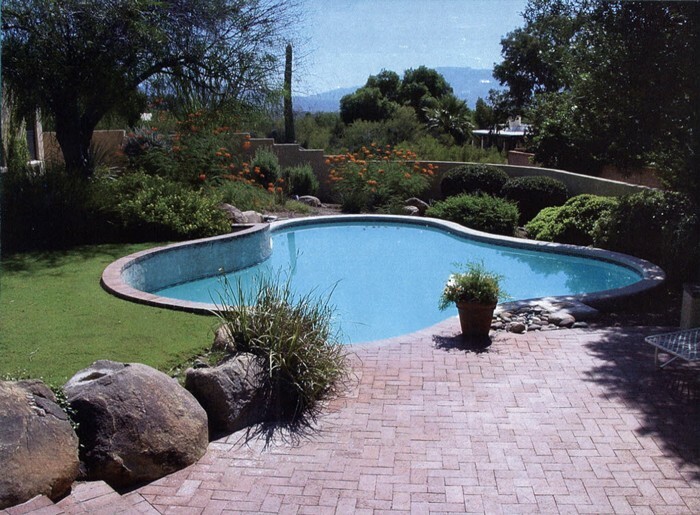 Call Rob Staples at (520) 881-2777 to discuss about your ideas for a distinctive pool and the technical challenges offered by your property. Please check out other pool designs to see how we could enhance your own project. The design, engineering and constructions employees of Cimarron Circle prides themselves to being able to bring your dream project to reality.